As they say in Ireland, "Fair play to yer, lads!" 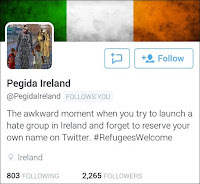 because newly-formed Pegida Ireland got humiliated yesterday. Twice. 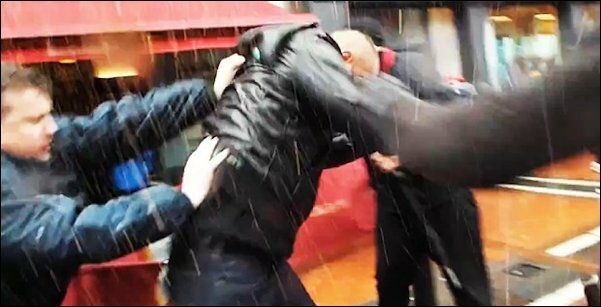 Firstly, as they launched their 'movement' in Dublin, they were chased off O'Connell Street by counter-demonstrators shouting 'Nazi Scum' and ended up running away pretty fast. Expectations are that it'll be some time before they show again. 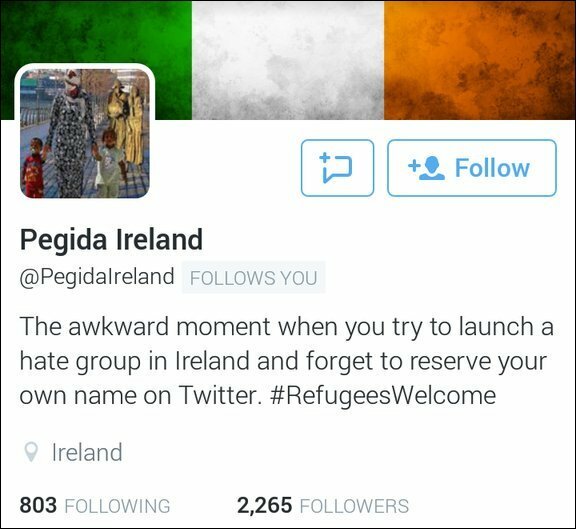 Secondly, you'd think they'd grab the Twitter name, @PegidaIreland, surely? No. Someone else did (good work, son!) and sat on it, publicly broadcasting the fact. So subtly and effectively have they done so, that there appears to be confusion over which account is the real one.